Where: Plan B, Top Floor Syrup Nightclub, 39 Salamanca Place. 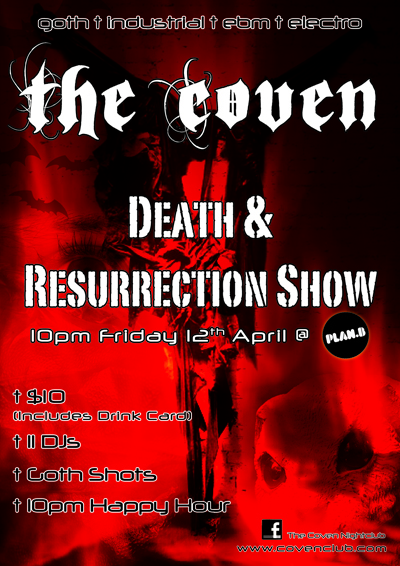 On Friday the 12th of April we're going to resurrect the dance floor at PlanB with The Coven: Death and Resurrection Show. Please sign up to our mailing list here to get details of forthcoming Coven events. • give us a cd-r of a one hour set that you would like to play at Coven.